What really happened on August 9th, 2014 in Ferguson, Missouri? That afternoon, Officer Darren Wilson killed 18-year-old Michael Brown. 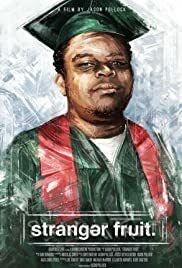 'Stranger Fruit' is the unraveling of what took place, told through the eyes of Mike Brown's family. The director takes liberties of the store tape to fit his narrative. The store owner's lawyer has released the "true" video.